Overcoming timeline and dimensional restrictions. Micron Technology is a world leader in memory and semiconductor technology offering the industry’s broadest portfolio of silicon-to-semiconductor solutions. In 2011, Micron Technology Inc. was planning a new 50,000-square-foot research and development facility at its site in Boise, Idaho. The facility will be split into 25,000-square-foot sections for a clean room facility and future expansion, respectively. 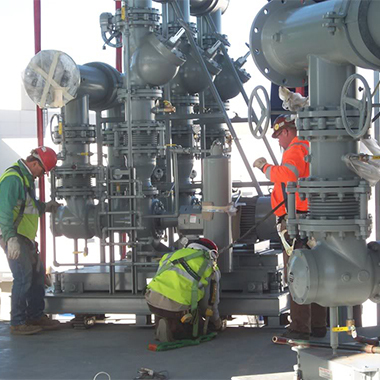 To meet an accelerated timeline and design for real estate restrictions within the facility, FlowTherm was contacted to design and build custom skids containing two 50 million BTU Bell & Gossett heat exchangers to supply heat to the new facility and to a portion of another. The strongest business relationships are built on years of trust. 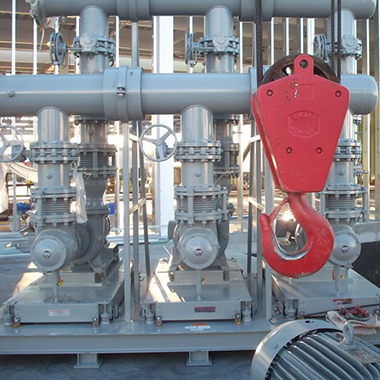 Our mechanical contractor partners know that we have an unlimited capacity to build whatever they need in a timely manner. It comes down to doing far more than selling products and parts—we help our partners engineer solutions that fit their needs and exceed their expectations. The Micron project began much as many other jobs have—a phone call from a trusted mechanical contractor that prompts the question: “What is your current situation and where do you want to be?” The remainder is our job, and our partners trust that we won’t hinder their profitability or reputation. Furthermore, we were able to expedite the process by putting our engineers and designers directly in contact with our project engineers. This relationship allowed us to avoid the red tape surrounding specific functionality discussions and skid revisions. Though cheaper suppliers are out there, nobody can supply the level of customer support and value FlowTherm provides. 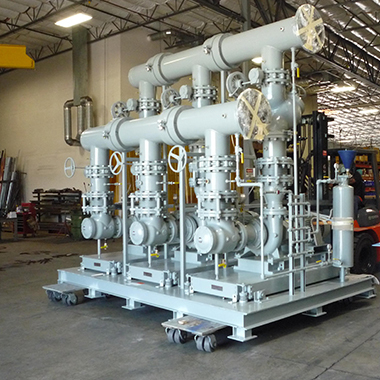 How do you deliver an over 10,000-lb skid that functions properly, is extremely reliable, and is completely customized to meet the building’s needs but that also fits perfectly in the floor space provided? You work hand in hand with project engineers and architects to develop solutions tailored to project goals and requirements—while also accounting for any cost, timeline, and dimensional restrictions. As you can imagine, real estate at a facility such as Micron’s new R&D building is extremely limited and expensive. Our team of engineers and designers worked through several design iterations before arriving at a solution that suited both the buildings needs and the limited space available.